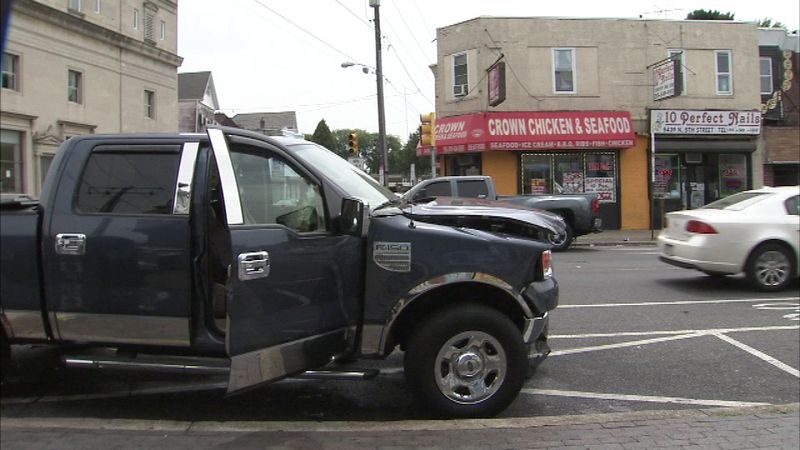 A store was damaged after a crash involving a car and pickup truck in Olney. 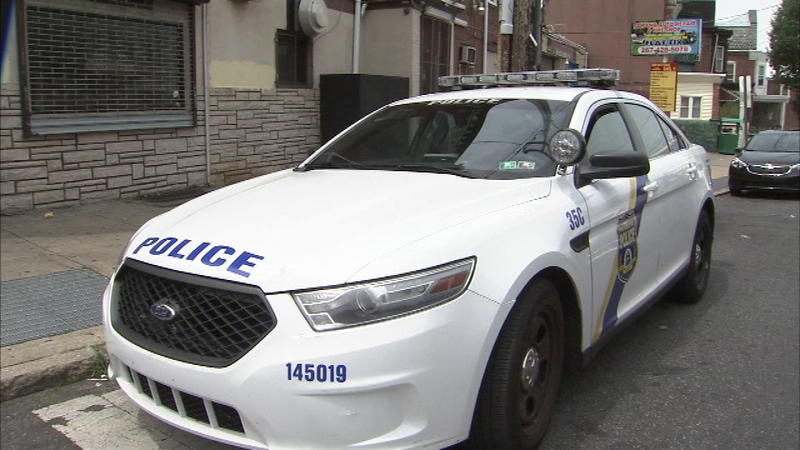 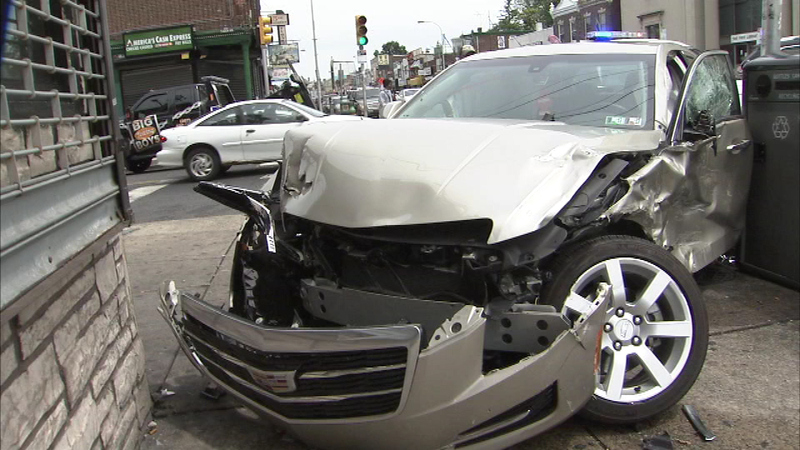 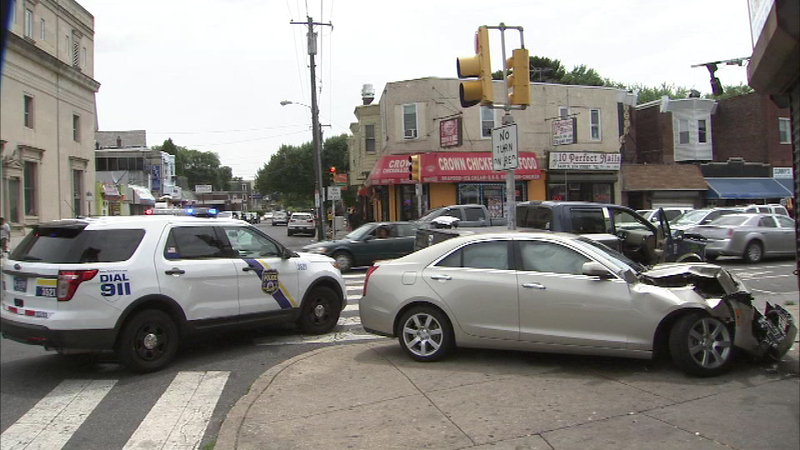 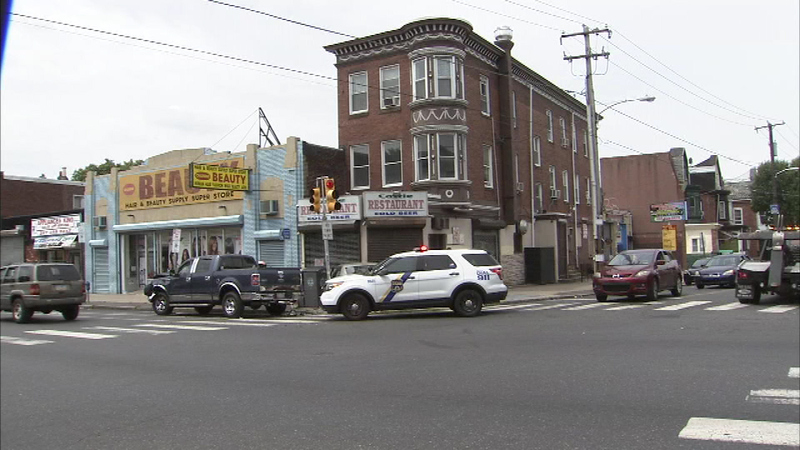 OLNEY (WPVI) -- One person was injured and a store front was damaged after a crash in the Olney section of Philadelphia. 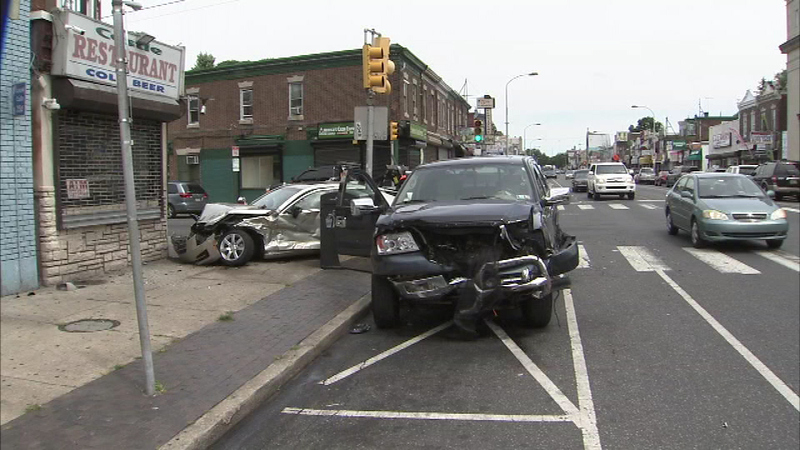 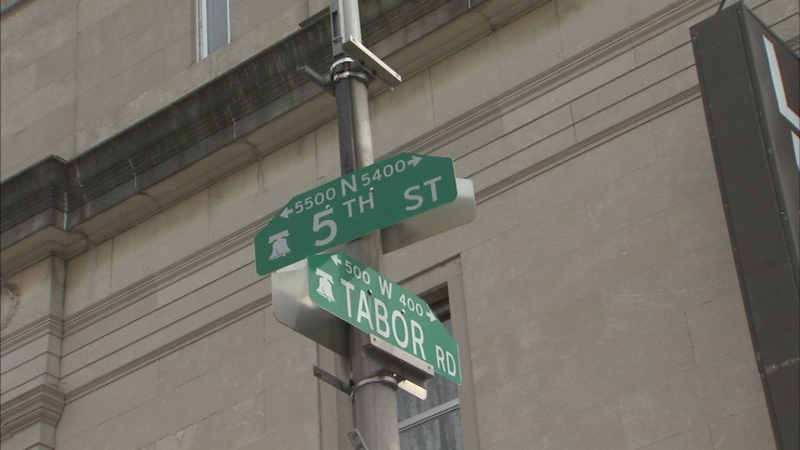 The crash happened around 10:30 a.m. Sunday at 5th Street and Tabor Road. 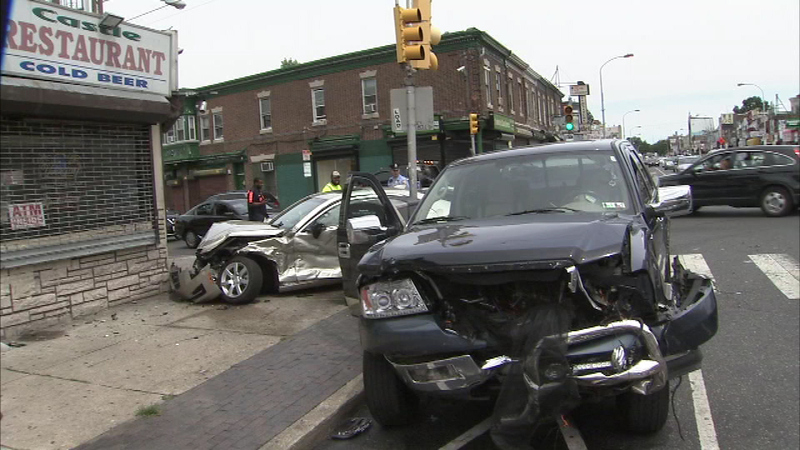 Police say the driver lost control of the vehicle, crashing the car into a pickup truck. 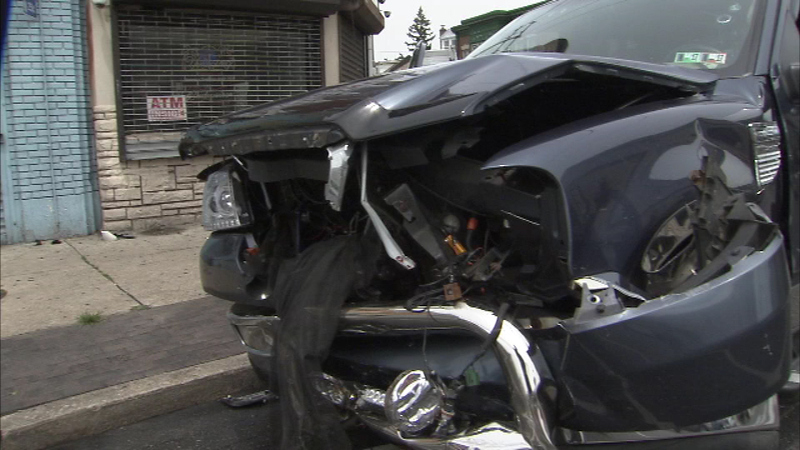 The impact forced the truck up onto the sidewalk and into the store. 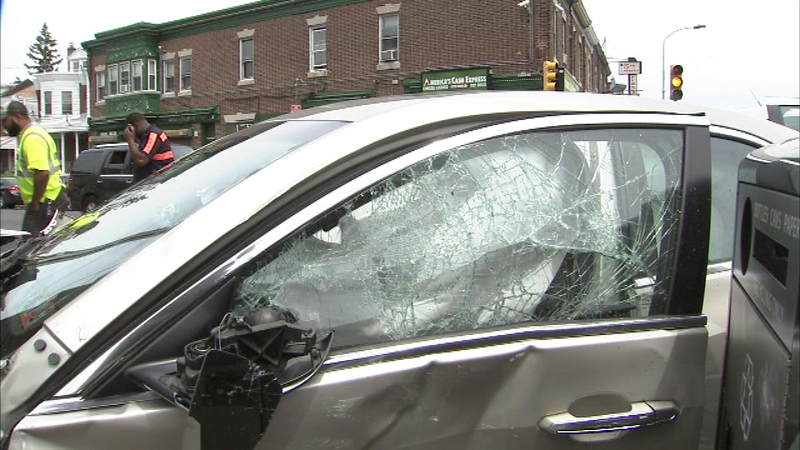 There was only minor damage to the store.